Spoke at a BIMA Breakfast Briefing about the impact of the some of the tools currently available to Makers. Spoke at This Happened at the V&A about some of the joys and trials experienced in getting Little Printer to market. 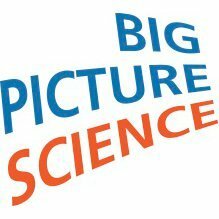 Last year I was interviewed about interaction design and using Arduino by Seth Shostak for the Big Picture Science podcast. The whole episode and an excerpt are now online. I'm speaking at a breakfast briefing on the importance of making in design for the launch of the Crafts Council's Crafting Capital report. I'll be participating in the Post Craft panel discussion at this year's Future Everything on the 13th of May. A great couple of days was had at the Open Futures conference hearing from some of the children involved and Prof. Sugata Mitra. I'll be joining RIG and tinker to speak at TEDx Sheffield on the 16th September. I gave a brief (and somewhat jetlagged) history of the piano keyboard at Interesting09 on the 12th September along with many interesting people. 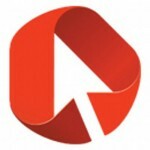 I'll be discussing filmit as part of a panel at i-Design09 on 24th September. I'll be performing with the Beatbox and other systems at The Sage Gateshead on 23rd May as part of the Future of Sound 2009 tour. I'll be presenting some music toys at the Thinking Digital University, part of Thinking Digital on the 13th of May at The Sage Gateshead. Speaking as part of Martyn Ware's Future of Sound event at Digital Design Day.